To claim this profile, please confirm you are Jackson Tate. To follow this profile, please let us know your relationship to Jackson Tate. Jackson's lacrosse stats have been updated for the loss vs. Fruita Monument. The Mullen varsity lacrosse team lost Monday's home non-conference game against Fruita Monument (Fruita, CO) by a score of 12-7. Jackson's lacrosse stats have been updated for the win vs. Battle Mountain. RESULTWin Boys varsity lacrosse vs. Battle Mountain. 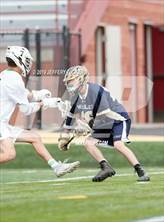 The Mullen varsity lacrosse team won Saturday's home non-conference game against Battle Mountain (Edwards, CO) by a score of 11-5. Jackson's lacrosse stats have been updated for the loss @ Grandview. RESULTLoss Boys varsity lacrosse @ Grandview. 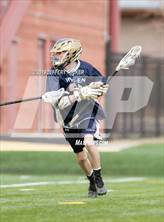 The Mullen varsity lacrosse team lost Thursday's away conference game against Grandview (Aurora, CO) by a score of 14-2. Jackson's lacrosse stats have been updated for the win @ Cherokee Trail. RESULTWin Boys varsity lacrosse @ Cherokee Trail. 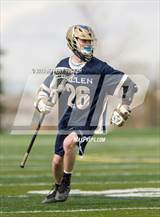 The Mullen varsity lacrosse team won Friday's away conference game against Cherokee Trail (Aurora, CO) by a score of 5-4. Jackson had 19 photos tagged from the game against ThunderRidge. Jackson's lacrosse stats have been updated for the loss @ ThunderRidge. 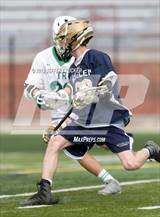 The Mullen varsity lacrosse team lost Monday's away non-conference game against ThunderRidge (Highlands Ranch, CO) by a score of 20-10. 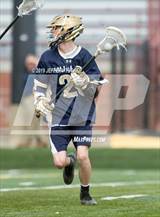 Jackson had 1 photo tagged from the game against Cherry Creek. Jackson's lacrosse stats have been updated for the loss @ Cherry Creek. The Mullen varsity lacrosse team lost Friday's away conference game against Cherry Creek (Greenwood Village, CO) by a score of 17-2. 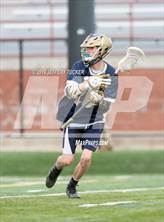 The Mullen varsity lacrosse team lost Wednesday's away non-conference game against Heritage (Littleton, CO) by a score of 11-6. Jackson's lacrosse stats have been updated for the win vs. Bishop Machebeuf. RESULTWin Boys varsity lacrosse vs. Bishop Machebeuf. 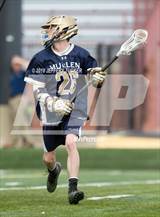 The Mullen varsity lacrosse team won Thursday's home non-conference game against Bishop Machebeuf (Denver, CO) by a score of 12-0. 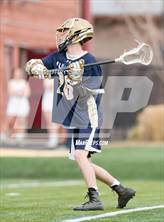 The Mullen varsity lacrosse team lost Friday's away non-conference game against Wheat Ridge (CO) by a score of 13-7. 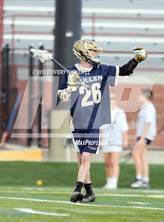 Jackson has been added to the Mullen lacrosse roster.